The sun is shining and it really feels like Spring might be on the way. The one thing the sun does have a tendancy to do is to show up all the little niggles in our homes. It lights the knocks and scratches that have appeared over the Winter when we’ve all spent more time indoors than usual, and makes us feel inspired to change and update our interiors. Well that’s how I’ve been feeling over the last few days. At the weekend I touched up the paint in the kitchen and I’ve started looking for colour inspiration for the bathroom makeover. It got me thinking about what the most popular updates to our homes might be when Spring comes around. After the dull winter months, we deserve pops of colour in our home. 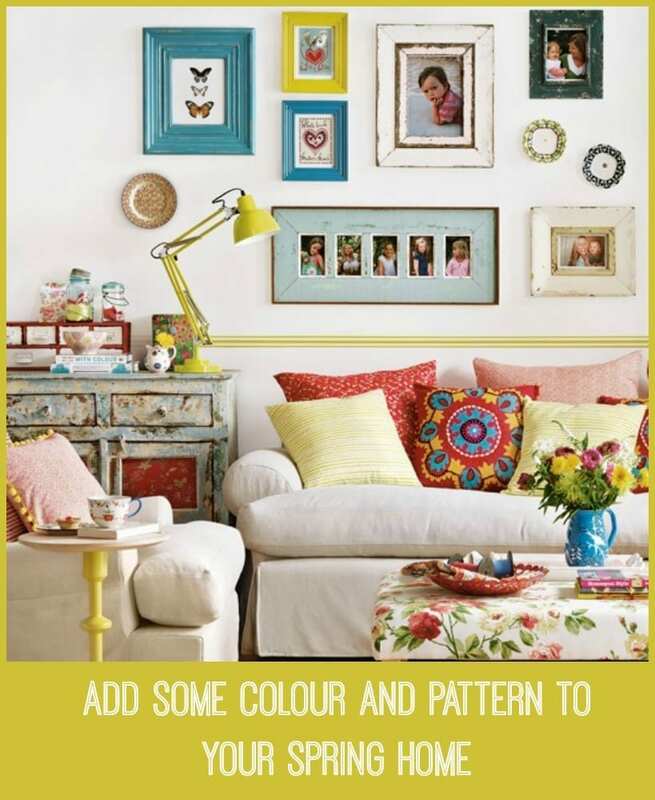 Change some cushions, add a colourful lamp or redesign the curtains. Just a few changes will bring a little bit of Spring indoors. 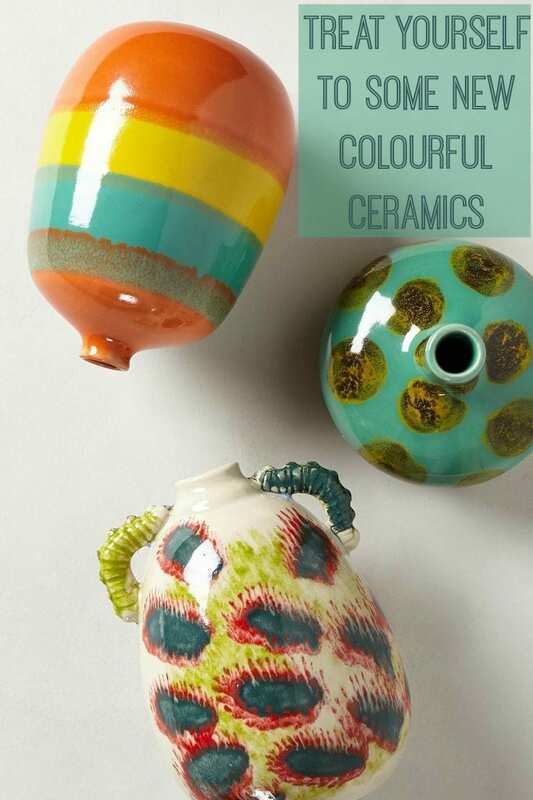 I love these beautiful colourful vases from Anthropologie. Such an easy way to brighten your home this Spring. 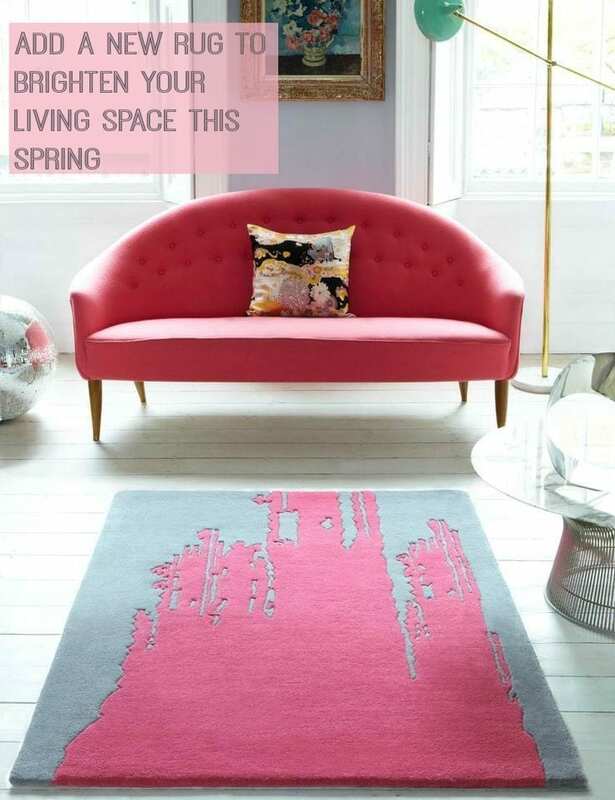 This beautiful rug from Rose and Grey is just gorgeous for the Spring home. 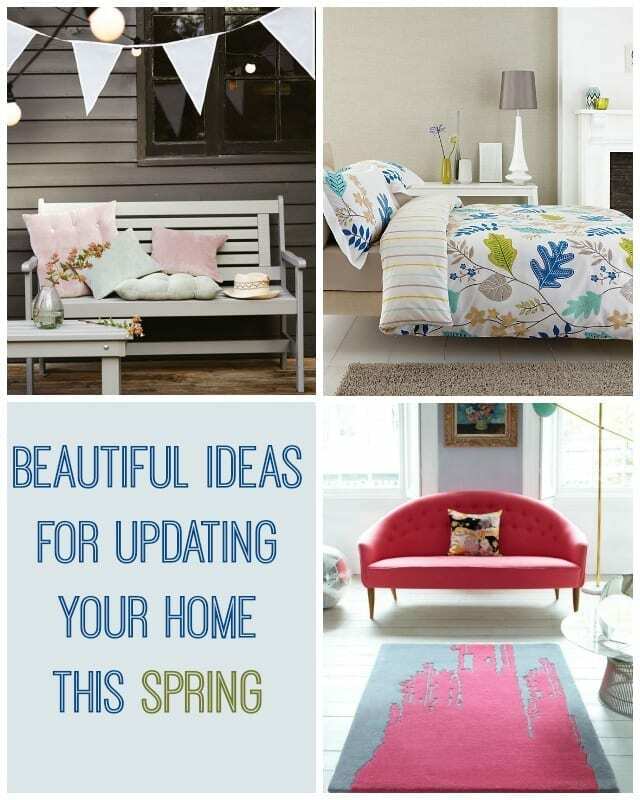 What a lovely way to update your home this Spring; I couldn’t think of anything better! The sun and warmer weather takes us outdoors. 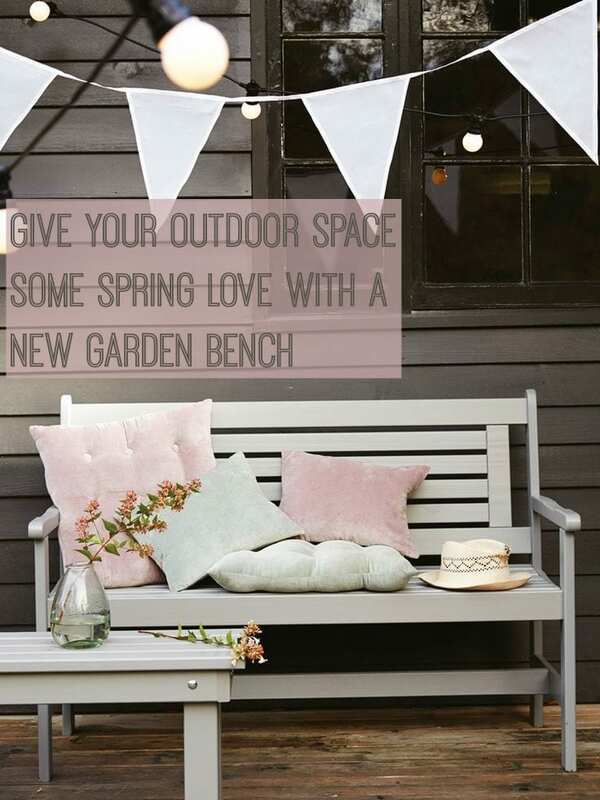 Even if it’s not warm, wrap up and sit outside your back door on this very pretty bench from Cox and Cox sipping your coffee in the morning sun. Bliss. Brighten your bedroom with some beautiful, fresh Spring bedding. Another great way to update your home this Spring. Have you done anything yet to get your home ready for Spring? you suggest very nice ideas for home.I like the ideas.Nice for sharing this article.